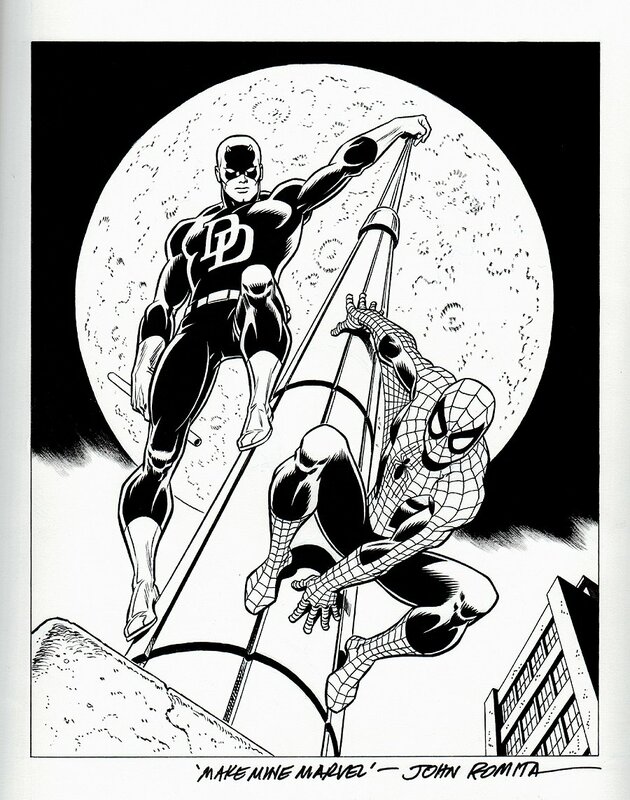 Romitaman Original Comic Book Art :: Private Collection :: Daredevil / Spider-Man Poster Art & Published Lithograph SOLD SOLD SOLD! 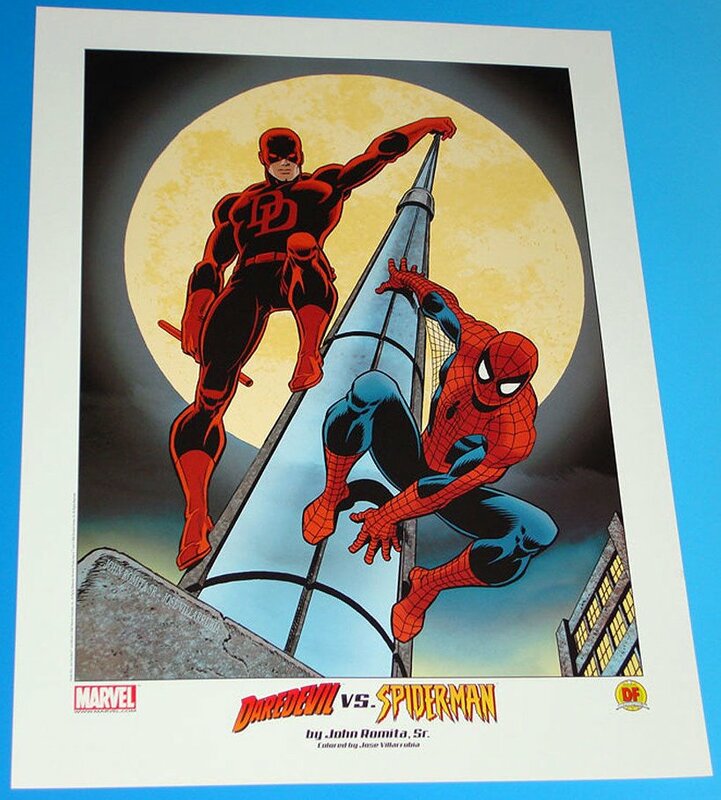 by artist John Romita Sr.
Click Here To See Daredevil / Spider-Man Lithograph! This wonderful illustration was created for a series of posters and lithographs that were printed through a collaboration of Marvel Comics and publisher Dynamic Forces. Expertly rendered by industry legend John Romita Sr., this is a striking image featuring two of Marvel's most-popular characters, as well as the first 2 Heroes John Romita actively drew for Marvel Comics in 1965 through the Silver Age! Daredevil and Spider-Man are both stunningly detailed and poised for action, overlooking their beloved New York City, with a dramatically full moon looming in the background. John Romita has become synonymous with Spider-Man during his 30+ years at Marvel! Drawn Image size is cover sized at 10 by 12.6 inches on larger art board and signed by the great John Romita Sr! Just a great piece! Compare this nice art to the published lithograph in the red link above! ALL art on our website (including this one) are able to be purchased with VERY fair time payments, and trades are always considered towards "ANY" art on our website! Just send us an email to mikeburkey@aol.com and we can try to work something out.